Fits in perfectly with modern bedroom styles of furniture and decor. 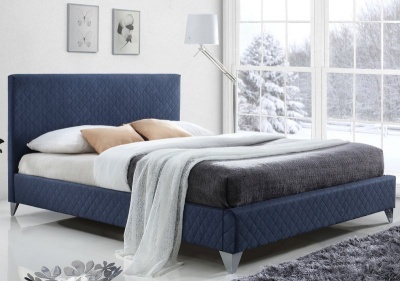 Available in fashionable colours of blue or grey. 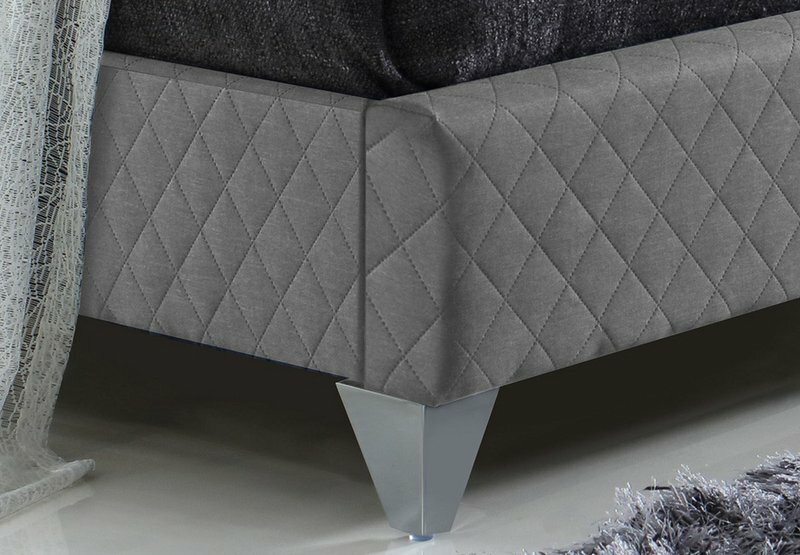 Stitching detail gives a quilted appearance to the fabric. 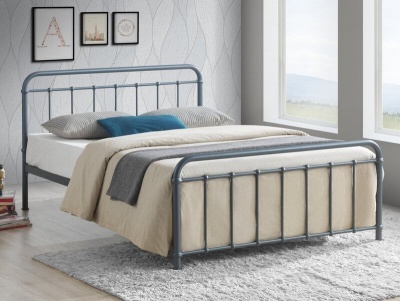 Chrome feet compliment the modern design of the Brooklyn bed beautifully. 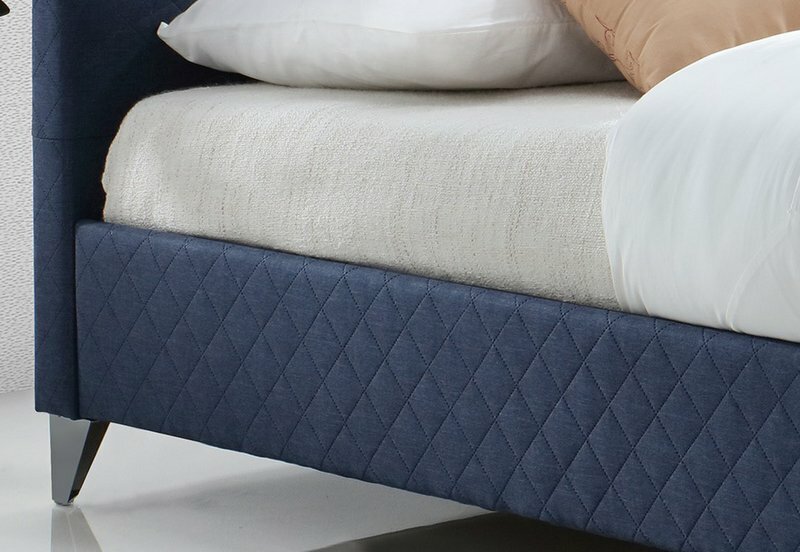 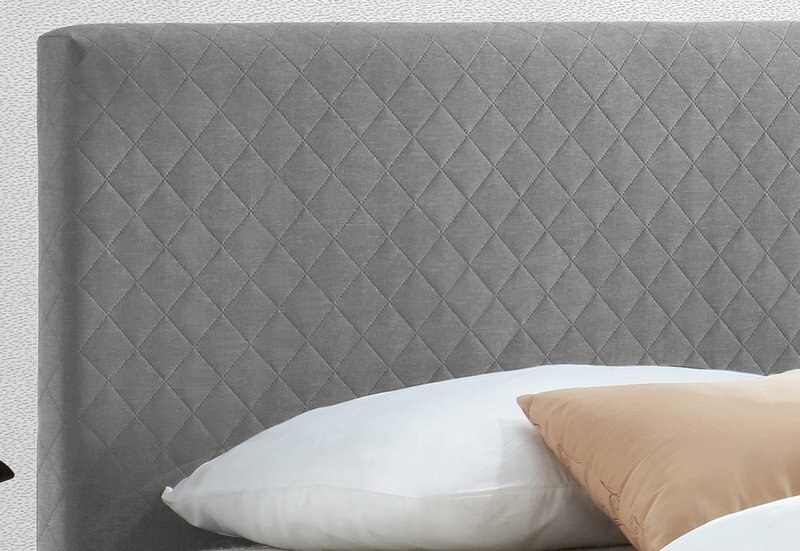 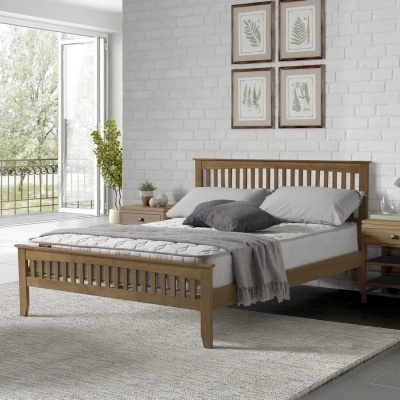 With its comfy headboard this bed creates a relaxing retreat for sitting up in bed and reading or surfing the internet.